Neymar has reportedly written to the team of Directors at Paris Saint-Germain demanding that they sell team-mate and forward partner Edinson Cavani. The Brazilian forward who joined PSG for £198m has also reportedly unfollowed Cavani on Instagram over a disagreement about who takes the penalty and free-kick at PSG. 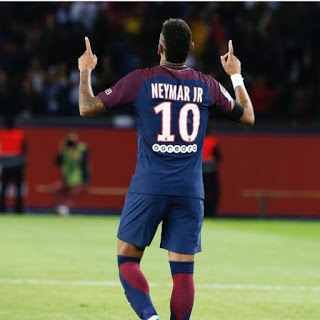 The duo clashed over set pieces in the match against Lyon at the weekend as Neymar nicked the ball when Cavani was lining it up for a free-kick. The Brazillian forward tried to do something similar when Cavani stepped forward to take a penalty but the Uruguayan refused to hand it over and eventually failed to score. According to a Spanish Sport publication on Tuesday, the Brazilian made his feelings abundantly clear to those in charge of the club. “Neymar reported that his relationship with the Uruguayan has become ‘impossible’ following their penalty dispute and dressing-room bust-up in the aftermath of the 2-0 victory against Lyon on Sunday. “Neymar has already communicated to Nasser Al-Khelaifi that his coexistence with Cavani is totally impossible and he has asked for the transfer of the Uruguayan striker,” the Spanish publication quoted. With the development, the PSG owner will now have a decision to make to smooth the duo relationship or go with the demand of the world-record signing sell Cavani who is one of the club’s established stars.